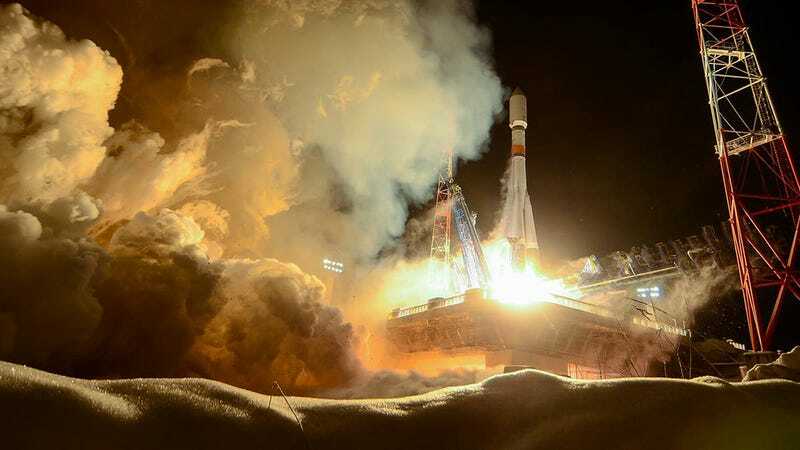 On Sunday, a Soyuz-2.1b rocket was successfully launched from the Plesetsk Cosmodrome, Russia’s northern space port, carrying a 3,119-pound Glonass navigation satellite into orbit. And boy was it snowy. As the photo shows, this nighttime launch was quite spectacular thanks to the location, close to the Arctic Circle. The shimmering snow, swirling smoke and illumination from the glaring torch of the Soyuz rocket make it a pretty dramatic shot. Maybe it can be used for a Russian greetings card next December.